Do you own a painting by this artist? William A. Karges Fine Art has over twenty years experience with the sale of artworks by Percy Gray. We are also actively seeking to acquire his original paintings (no prints please). Contact us now by telephone at (800) 833-9185, by e-mail at info@kargesfineart.com, or Get an art evaluation. For a complete list of artists whose work we are seeking, please visit our paintings wanted page. 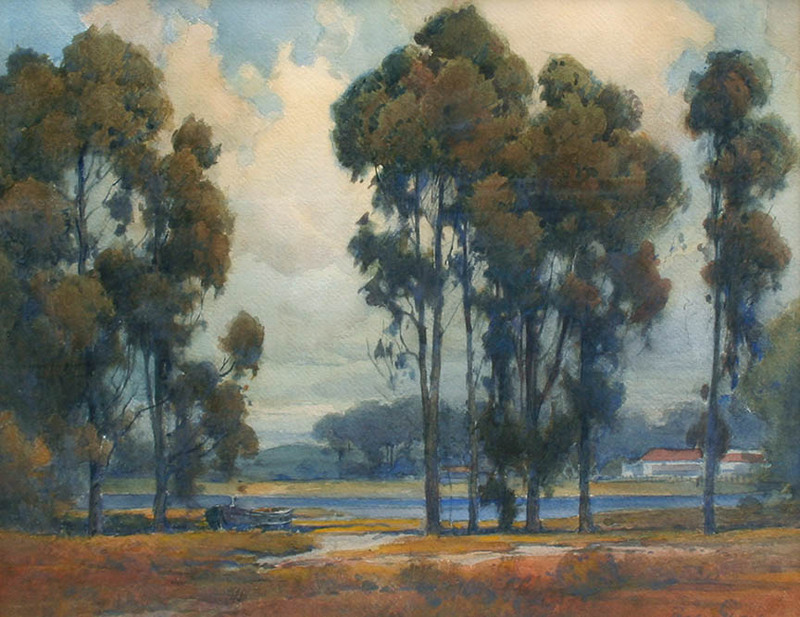 "Eucalyptus with Ranch House by a River"